Chest pain or discomfort — it’s a classic symptom of a heart attack. However, it’s important to note that just because you are experiencing pain or discomfort in your chest doesn’t necessarily mean that your ticker is in trouble. There are cases in which chest pain is due to something that has nothing to do with your heart. Some very common examples include anxiety or panic attack, acid reflux and costochondritis. 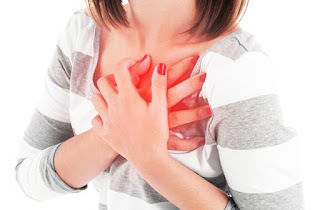 Similarly, just because there is no chest pain or discomfort around doesn’t mean that a heart attack is not taking place — some women can in fact be having a heart attack without experiencing pain or discomfort in the chest area. Confusing, isn’t it? And this is why everyone should take chest pain or discomfort seriously, especially if it’s accompanied by other unusual symptoms such as fatigue, dizziness and sweating. Needless to say, seeking immediate medical assistance is a good idea. But did you know that there are telltale signs that there might be something wrong with your heart other than chest pain or discomfort? It’s not unlikely for you to feel fatigued each time you’re stressed or sleep deprived. You may also experience it if your meals are not well-balanced or you’re exercising too much. But if your fatigue is most definitely not due to matters related to your diet or lifestyle, consider telling your doctor about it. According to heart specialists, severe fatigue is sometimes an indicator of heart failure — your heart is no longer able to do its job of pumping blood to the various parts of your body. Because your muscles and some of your vital organs are deprived of much-needed oxygen, it’s not unlikely for you to feel fatigued all the time or end up exhausted easily after engaging in a physical activity. Naturally, you are bound to cough if you have an upper respiratory tract infection such as the flu. Unfortunately, having a cough that simply won’t quit may be a telltale sign that you have heart failure. This is especially true if you are coughing up sputum that is pink in color, which means that it is contains blood. Sometimes the sputum may actually be visibly tinged with blood. Just like what’s mentioned above, heart failure is something that causes your heart to fail to do its job properly. Such can cause fluid to collect in the lungs, a condition that’s referred to by doctors as congestive heart failure or CHF. Some other signs and symptoms of CHF include shortness of breath, rapid heart rate and reduced ability to exercise. There is another very common indicator of heart failure that you need to know about and that’s having swollen ankles. Such is due to the fact that fluid can accumulate in the lower extremities as the heart is no longer able to pump blood optimally as to promote proper circulation all over the body. However, it doesn’t mean that you are suffering from heart failure just because your ankles appear puffy. It’s important to note that swelling of the ankles can due to a variety of things such as standing or sitting for a long period of time, wearing of tight garments, being obese or overweight, ankle sprain and being in the family way. Of course it’s very likely for you to encounter indigestion especially after overeating or consuming the wrong kinds of foods. However, it’s important to note that indigestion may be experienced, too, during a heart attack — women who are having a heart attack are likelier to report indigestion than men. Sometimes vomiting may strike, too.